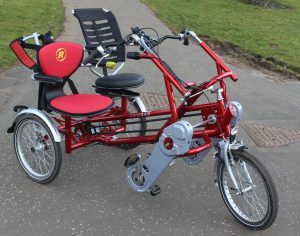 The West Lothian Bike Library runs an Inclusive Cycling scheme with a pool of adaptive bikes for people with additional support needs. 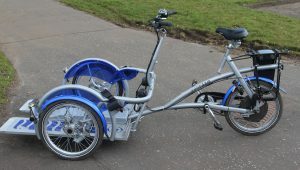 This scheme has developed from the All Ability Cycling project previously run by the West Lothian Council Health Improvement Team, with support from the Council, NHS Lothian, Transport Scotland’s Smarter Choices Smarter Places funding programme and others. New Inclusive Cycling sessions have been announced for 2018 – see Adaptive bike sessions starting 9th April. Choosing the right adapted bike to suit your needs can be a difficult process. 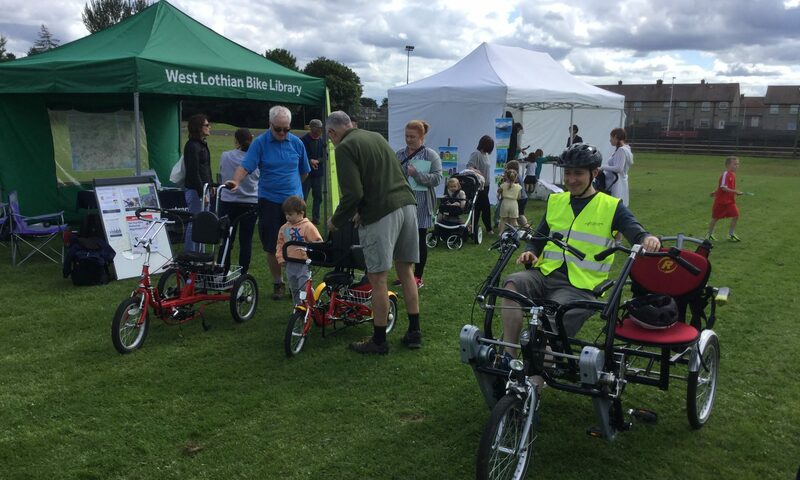 Drawing on our experience with the West Lothian Inclusive Cycling Scheme (West Lothian Council), our volunteers can offer free, impartial advice on purchasing the right bike. Contact us for a discussion. 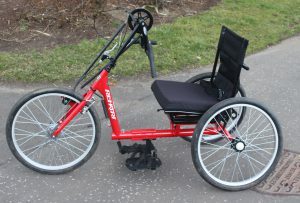 You can also find some useful info on Cycling UK’s online guide to adapted cycles. Some more general info on choosing the right bike for children is available via the Sustrans website.